Opponents of Indian Prime Minister Narendra Modi want to delay the release of a new film about his life until after the national election, saying it’s just thinly disguised propaganda. Diabetes, already a huge health problem in Canada, is on the rise and it has doctors worried. The cinematography is stunning, the musical score is epic, and the sets, costumes and action sequences are all worthy of the biggest-budget Hollywood films. But opponents of Indian Prime Minister Narendra Modi are pretty sure that a soon-to-be-released biopic about his life is just thinly disguised propaganda meant to influence the country’s looming elections. And so they are banding together to demand that India’s chief election commissioner push back the film’s scheduled April 5 release date until after the seven-phase, six-week-long vote concludes on May 19. The Bollywood production titled PM Narendra Modi has the tagline “the story of a billion people,” but its focus is clearly fixed on the 68-year-old leader of the Hindu nationalist Bharatiya Janata Party. It traces his rise from railway tea boy to spiritual seeker to outlaw activist and ultimately politician, first as chief minister of Gurajat state, and then leader of all India. Although critics have been quick to note that the movie glosses over the more contentious parts of Modi’s backstory, like the anti-Muslim riots that killed more than 1,000 people during his time as premier. A newly released trailer shows Vivek Oberoi, the actor who plays Modi, in a variety of heroic poses, riding a motorcycle, pulling a body from some rubble, and boldly waving an Indian flag on a bridge while bullets whizz past. Television channels are required to give all major political parties equal time under India’s election laws, and there are also strict rules surrounding advertising, including posts on social media. For example, this week both Air India and discount carrier GoAir have stopped distributing boarding passes featuring Modi’s picture — paid third-party advertisements that were supposedly meant to promote a recent investors summit — for fear of running afoul of campaign regulations. But films are not subject to the same type of restrictions. In fact, in addition to the movie, a 10-part miniseries on Modi’s life is set to debut on the Indian streaming service Eros Now at some point in April. Titled Modi: Journey of a Common Man, it appears to stick to the same script about his humble beginnings and selfless dedication to India, while downplaying his hard-edged nationalism. In 2014, Modi won a landslide victory by borrowing from American presidential campaigns and packaging himself as the product. Five years later, such efforts have only intensified. 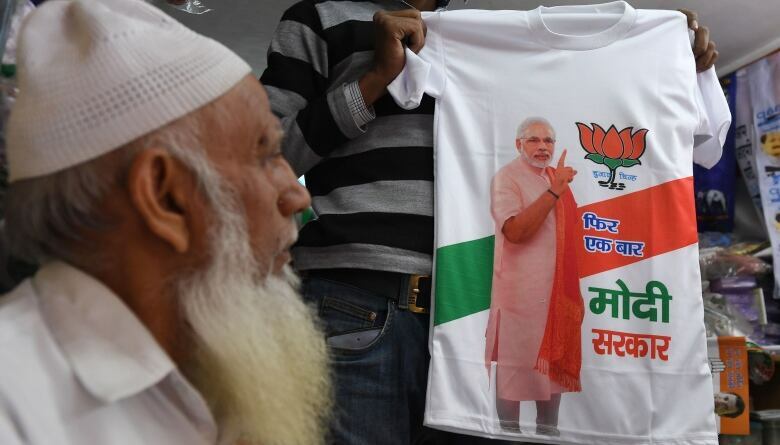 As the vote approaches, Modi has become a ubiquitous presence in billboard, newspaper and television ads, and via “NaMo Again” t-shirts, mugs and other merchandise. There’s even a new, free Modi smartphone app that allows the BJP to directly target supporters with campaign updates, speeches, photos and appeals for help. 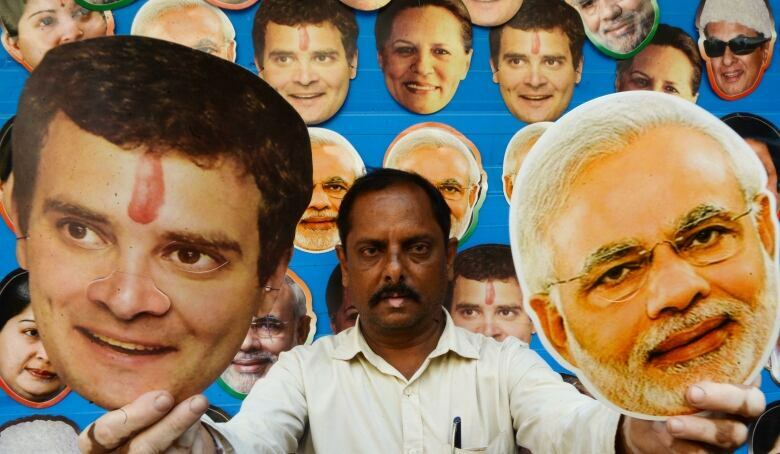 Nonetheless, Modi and his BJP face a much tougher battle in the coming vote. The Congress Party, led by the latest member of the Gandhi dynasty, Rahul, comes into the campaign with momentum after winning state elections in Rajasthan, Madhya Pradesh and Chhattisgarh in December. 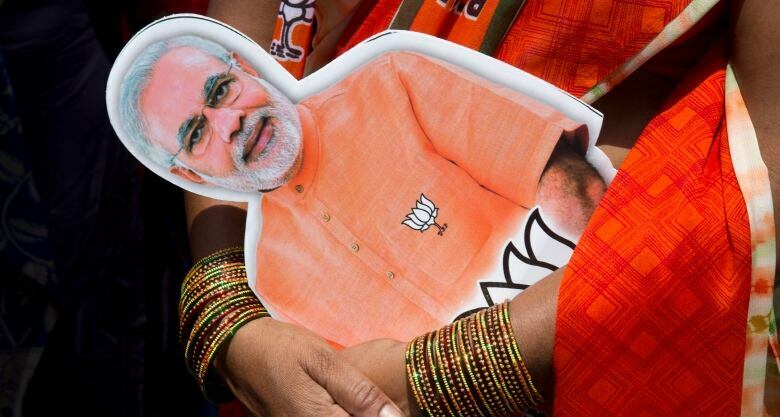 Polls suggest that Modi remains the top pick for PM, but that both main parties may find it difficult to win a clean majority of the 543 seats that are up for grabs in the Lok Sabha. Which at the very least might provide some dramatic coalition-building scenes for the next political biopic. A special health panel on The National tonight looks at issues around diabetes, particularly the rise of Type 2, producer Perlita Stroh writes. Diabetes is a huge health problem in Canada and it’s on the rise. Currently, 2.7 million Canadians live with diabetes and the major impact it has on daily life and overall health. It’s a disease in which the body can’t produce or use its own insulin, making it hard to regulate the amount of sugar in the blood. Glucose fuels the body and brain, but too much or too little can cause damage and serious health complications. Type 1 diabetes is an autoimmune disease treated by insulin injections and other medications. Type 2, which the vast majority of diabetes sufferers have, can be regulated and even cured through diet and physical activity. In fact, Type 2 is preventable if people eat and exercise properly, but according to health professions, the disease is growing so fast that by 2020 the number of people with diabetes could double. While health professionals stress the importance of living a healthy lifestyle, they warn that other factors are at play here too. And while most people acquire Type 2 diabetes in middle age, the number of children being diagnosed in recent years worries the health community. Tonight on The National, we’ve assembled our panel of medical experts to explore the state of diabetes in Canada. Joining us will be Dr. Martin and Dr. Huang, as well as Dr. Samir Sinha, director of geriatrics at Mount Sinai and the University Health Network Hospitals. Hope you’ll join us to find out more about this serious and growing threat to the health of Canadians. When dreams turn to slush. 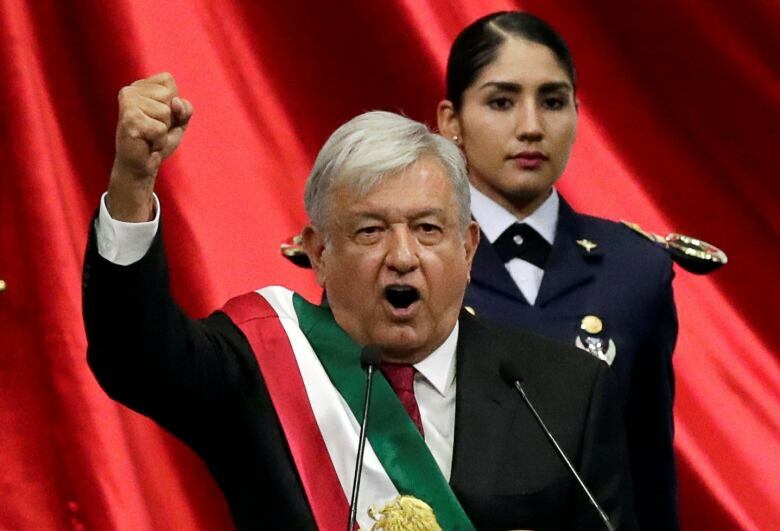 – Spain’s government rejects a demand from Mexican President Andrés Manuel López Obrado for a formal apology for the historical abuses committed by the conquistadores. Six seasons, 460 regular season games, 359 losses, zero playoff appearances, and Byrant “Big Country” Reeves … You can’t stay here with every single hope you had shattered.